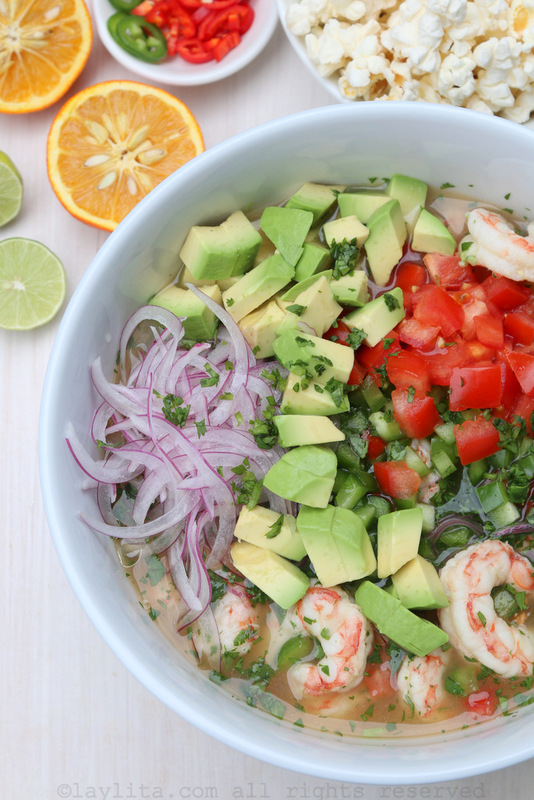 This refreshing shrimp and avocado ceviche recipe is made with shrimp, avocado, red onions, tomatoes, bell peppers, sour or bitter orange juice (naranja agria), lime juice, cilantro, oil, and salt. I love adding avocado to my shrimp ceviche or serving it stuffed in avocados – it’s such a perfect combination. Sour or bitter oranges, also called Seville oranges, are a popular addition to ceviches in Ecuador. Refreshing shrimp and avocado ceviche recipe made with shrimp, avocado, red onions, tomatoes, bell peppers, sour or bitter orange juice (naranja agria), lime juice, cilantro, and salt. Place the red onion slices in a bowl, sprinkle with some salt, and cover with cold water. Rinse well and drain. Sprinkle the washed sliced red onions with a couple tablespoons of lime juice. Mix the cooked shrimp with half of the onions, half of the diced tomatoes, diced green bell peppers, ½ of the chopped cilantro, hot pepper, the sour orange juice, the remaining lime juice, and salt. Refrigerate and let marinate for about 30 minutes. 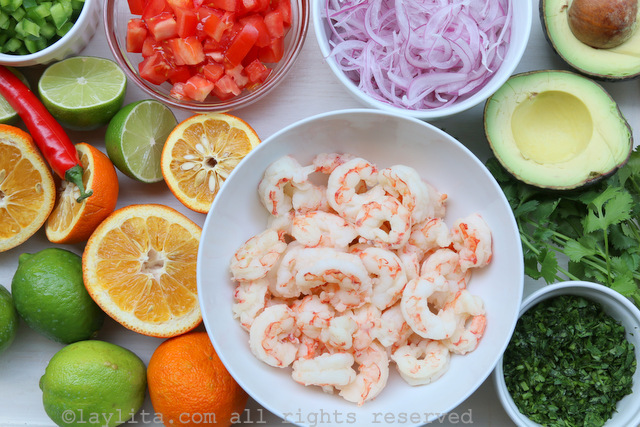 When ready to serve the ceviche, mix in the diced avocado, remaining lime marinated red onion slices, remaining diced tomatoes, remaining chopped cilantro, and oil. Mix well, taste and add additional salt if needed. Serve with your choice of green plantain chips (aka patacones/tostones), popcorn, hot sauce or chopped fresh hot peppers to taste, etc. 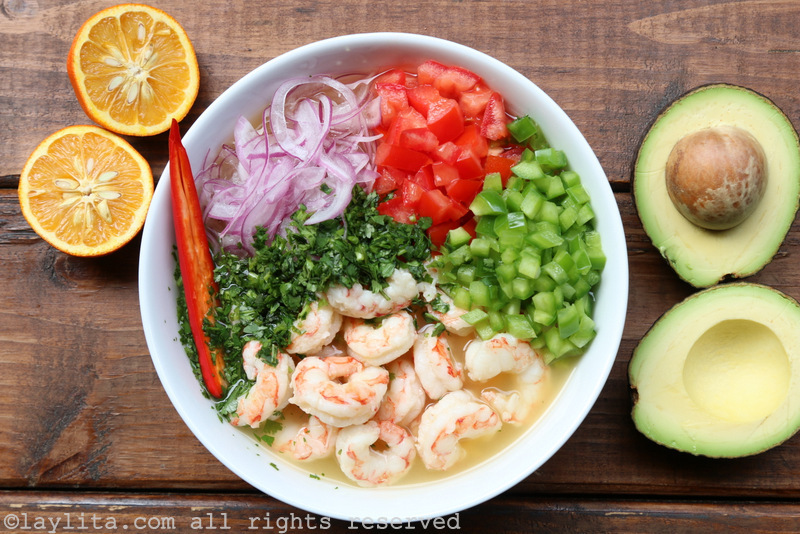 In Ecuador, there’s a variation of shrimp ceviche called “ceviche de Jipijapa”, based on a small town where they serve the ceviche with avocado and a creamy peanut sauce. If you would like to try that variation, just add either some crunchy crushed peanuts (I recommend putting them in the food processor) or a bit of peanut butter to your individual ceviche - start with small amount and add more if you like it. It might sound like an odd combination, but it’s delicious! It took me forever to find sour oranges, called naranja agria in Spanish, here in the US. It was actually thanks to a Persian friend, when she prepared a Persian fish dish that uses sour oranges. 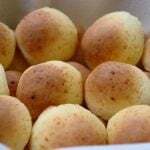 She told me that they are used in Persian cuisine and that Persian grocery stores sell them during the winter/spring months. Luckily there’s a Persian grocery store right next to one of my favorite local Latin food stores. So now, especially during the winter months I make sure to stop by the Persian store when I stock up on Latin ingredients. The Persian store also has limones dulces or sweet lemons during the same season. They also sell Persian style yogurt, which is more liquid than regular plain yogurt, and perfect for making fruity yogurt drinks that remind of the Persian yogurt drinks sold in Ecuador. Also, they have great prices on spices and herbs, plus a wonderful selection of other fresh fruits/veggies and dried goods (lentils, barley, etc). 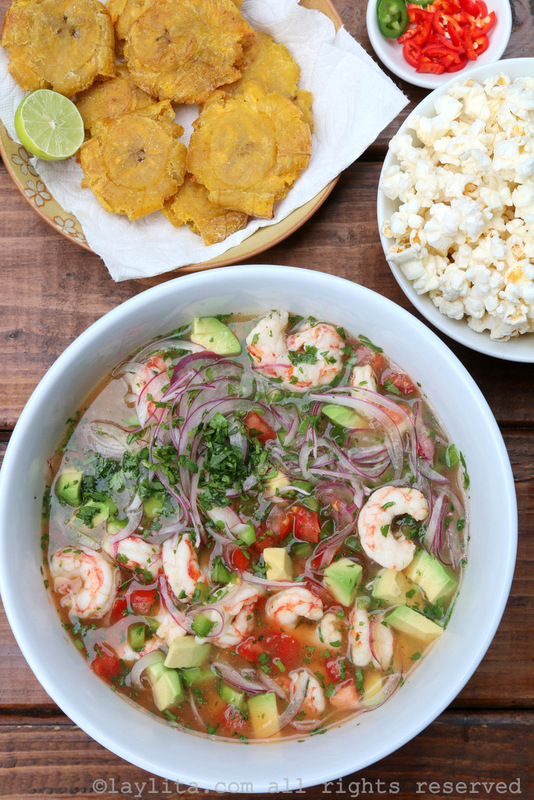 I recommend serving this shrimp and avocado ceviche with thick green plantain chips (known as patacones or tostones), and/or popcorn, additional chopped fresh hot peppers or your choice of hot sauce, and for a different twist, a bit of peanut butter or crushed peanuts. Made this today for my family and it was AWESOME! Thank you!! I am surprised that you “cook” the shrimp on the stove. I have made ceviche that utilized the acid in the citrus to “cook” the fish. Was this a time-saving issue? 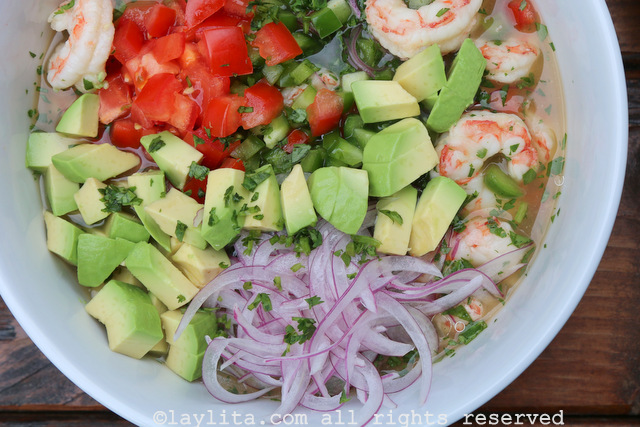 No, it was not a time-saving issue, in Ecuador we used cooked shrimp for ceviche. Other ceviches where you would use cooked seafood before marinating it with the lime juice include octopus (if you figure out to cook raw octopus in lime juice let me know), mussels, lobster, crab, calamari. 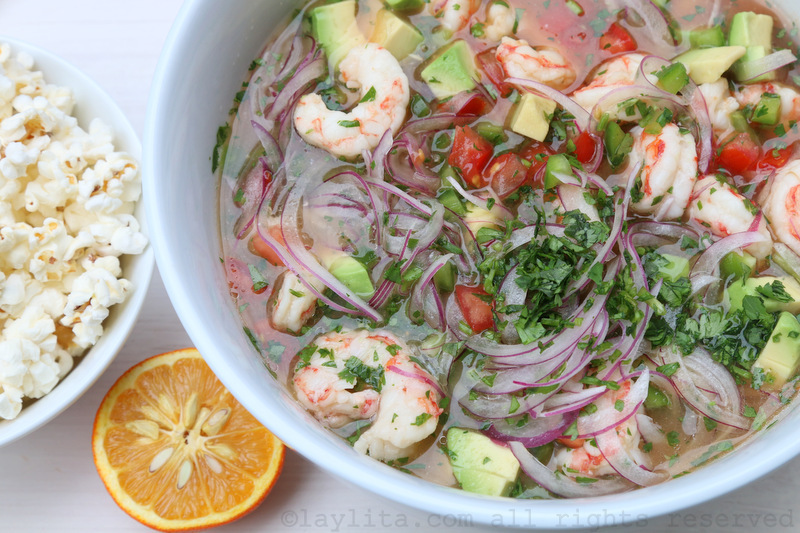 Ceviches that are made with raw seafood that “cooks” in the lime juice include fish, scallops, oysters, razor clams, and black clams (conchas negras). 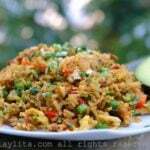 In addition, not all ceviches are made with seafood. There are ceviches made with fruit (mango ceviche), with vegetables (like chochos or lupini beans, or with mushrooms), and also with (cooked) chicken, and in the Southern part of Ecuador in a city called Macara (on the border with Peru) there’s even a ceviche made with beef (cooked). P.S. 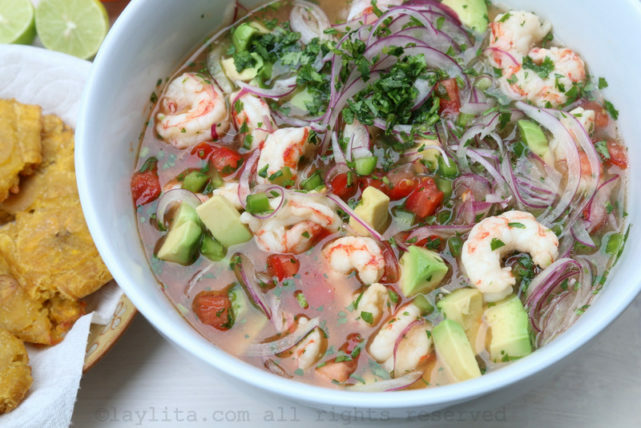 I would add that an exception for using cooked shrimp is if I made ceviche with a super fresh delicate style shrimp, like spot praws – which you can find live in a tank and are very fresh. With ceviche in general think of it as you would think of sushi/sashimi: anything that’s raw needs to be very high quality and very fresh. Most sushi with shrimp uses cooked shrimp.